This year the HVFD returns to publishing a community newsletter as part of our annual Fall fund drive campaign. The newsletter is packed with information about the department, including an update on our building project, details on our upcoming Fire Safety Day on October 25th at the Mall at Prince George’s, recruitment and fund drive information. Donations are critical to support our ability to serve the community and go directly to support our life saving mission. 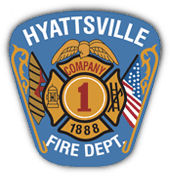 We are very fortunate to receive grants from the City of Hyattsville and Town of University Park, but we rely on community donations, local and federal grants and annual fund drives like this and our spring Family Photo Drive to support our department. We know times are tough, so we’ve added online giving (http://give.hvfd.com), which offers recurring donations if you’d like to spread your giving into smaller increments or fixed donations throughout the year automatically. Want to Make an Even Bigger Impact? Join Us. The HVFD is always looking for both operational Fire & EMS as well as Administrative & Support volunteers for a variety of roles. Check out our Recruitment Center or email us at join [at] hvfd.com today.